Enjoy the 3-D virtual reality experience with the V-Box viewer. 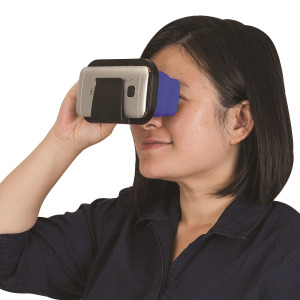 Use for viewing content that features VR technology. 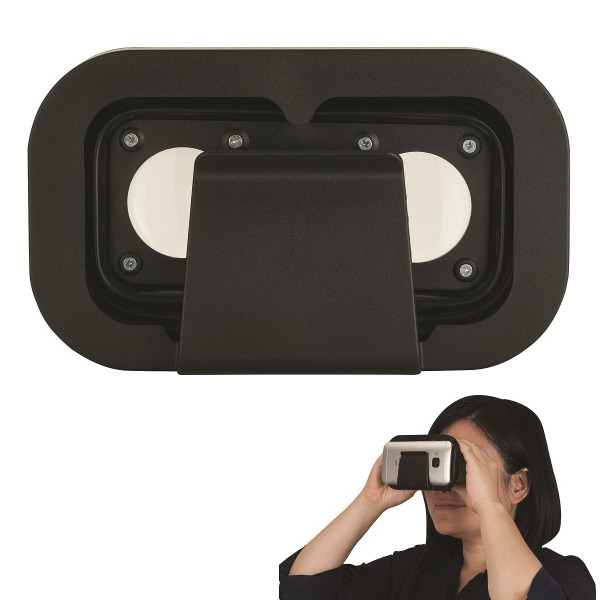 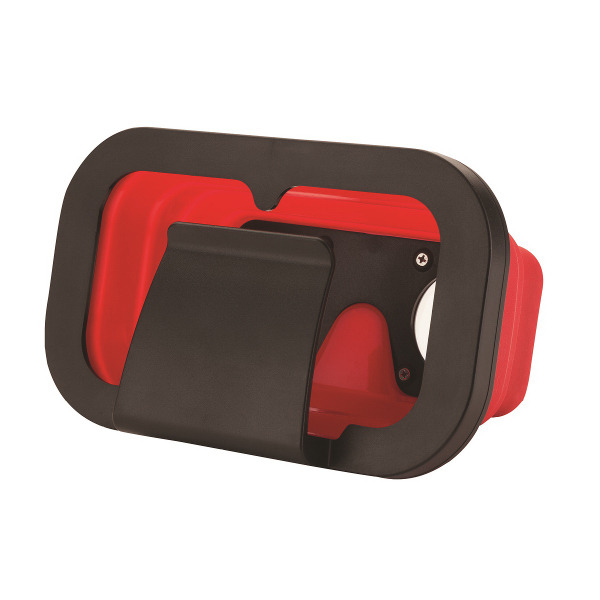 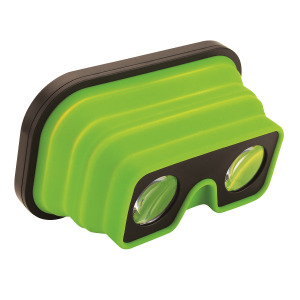 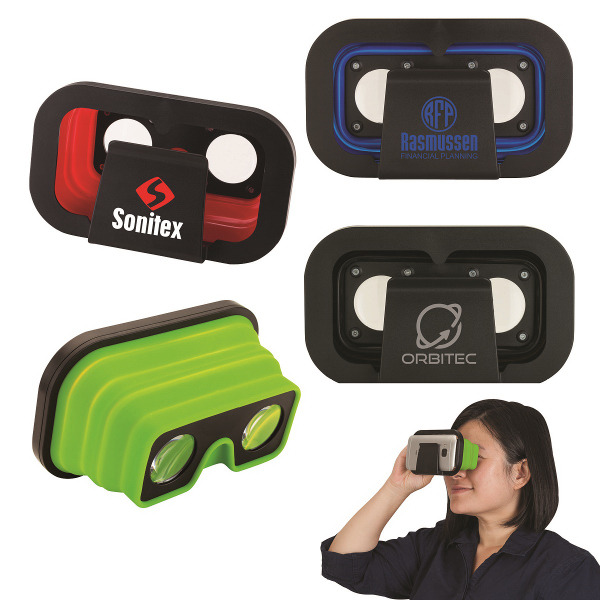 Just fully expand the silicone viewer, clip your smartphone into the back frame and enjoy. 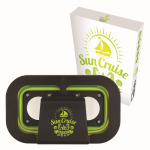 Make it a wow factor by including a full color packaging option! 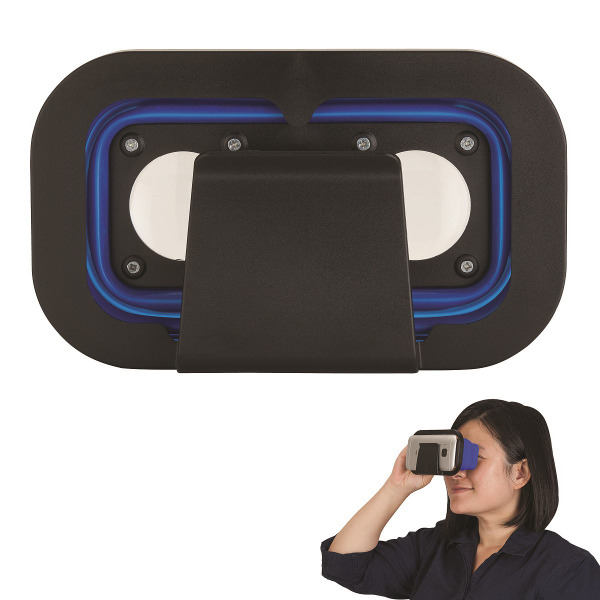 See you Account Manager for pricing details. Size is 3 1/2" x 5 7/8" x 1 1/8". I'm interested in learning about the V-Box Virtual Reality Viewer. Please contact me.